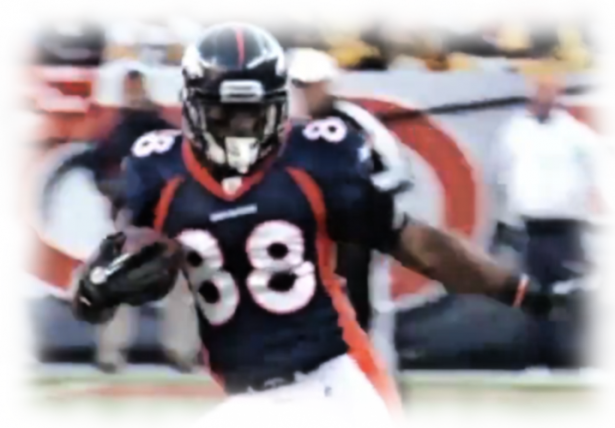 RosterWatch | Is Demaryius Thomas on Your Fantasy Radar? 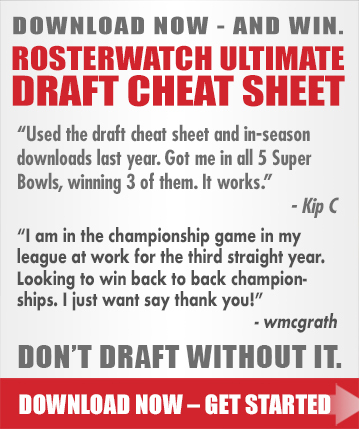 Demaryius Thomas might be the most intriguing WR prospect in this year’s fantasy football draft. Most fans probably remember Thomas for his spectacular walk off 80 yard touchdown from Tim Tebow to defeat the Steelers in the wildcard round of the 2011 AFC playoffs. We may just see a lot more thrilling plays from Thomas in 2012. He has the opportunity to be a solid #1 fantasy WR. Former head coach Josh McDaniels dubbed him a “faster version of Brandon Marshall” when the Broncos organization surprised many by selecting Demaryius Thomas with the 22nd pick of the 2010 NFL Draft. He was widely considered a “project” coming out of Gerogia Tech’s triple-option offense. After battling injuries and missing six games as a rookie, Thomas ruptured his achilles tendon early in the 2011 offseason. With his sophomore season in doubt, we were reminded of the freakish physical specimen that he is. Thomas returned in 2011 only eight months removed from a severe injury. It’s hard to imagine he was 100% healthy, but apparently the Broncos were confident. They traded their top WR, Brandon Lloyd, when Thomas returned in week 7. After a turbulent first six weeks back, with Tebow pulling the trigger, Thomas hit his stride down the stretch. Over his final 7 games of 2011 (including 2 playoff games), Thomas averaged 106 yards/game and had 4 touchdowns. Numbers that equate to over 14 gross fantasy points/game. His efficiency rating of 2.49 fantasy points/target was one of the best of all wide receivers last year. That production made Thomas very fantasy relevant late in the season. He was involved in a plethora of sit/start conundrums. The conundrums won’t be so plentiful in 2012. Not with the sheriff in town. Expect more pass attempts and more consistency. Peyton Manning has produced a pro-bowl receiver twelve years in a row. The only exception in his career being his rookie campaign. Manning has never played with a receiver who possesses such superior physical attributes either. At 6’3” 230 pounds, with blazing sub 4.4 speed, it’s like giving Manning the keys to a Ferrari. Thomas will have to improve on his poor 13.5% drop rate to earning Manning’s trust, though. Demaryius Thomas has a solid fantasy floor with Manning at the helm. 10 points/game is a very realistic expectation in standard leagues, with upside to be a top 5-10 fantasy WR. His current average draft position is 43.66 (mid 4th rd.) and his FantasyPros.com cumulative WR ranking is 19. Both measures are fair preseason assessments. There could be some nice value to be had here.